Sharing Surface in Yuba City, Ca. 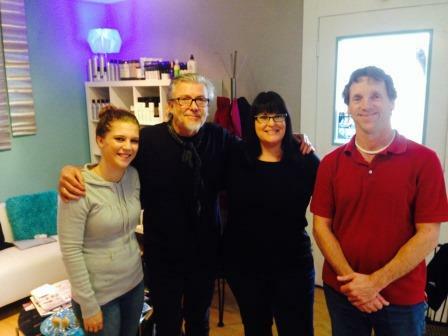 Last Monday I made a trip to Sassy's salon in Yuba City, Ca. to share Surface Hair. 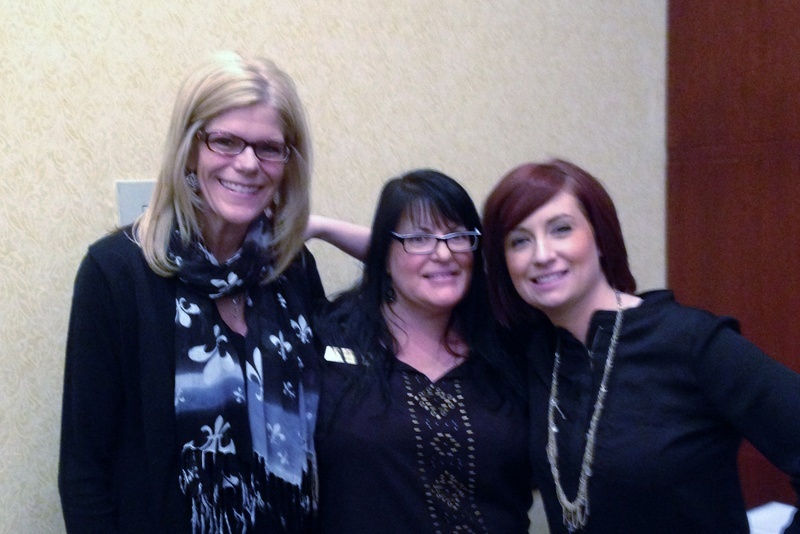 I spent two hours giving a product knowledge class to a great group of stylists! I was so excited that they had so many questions for me to answer. They really enjoyed the class and were very engaging. Great day inspiring others! 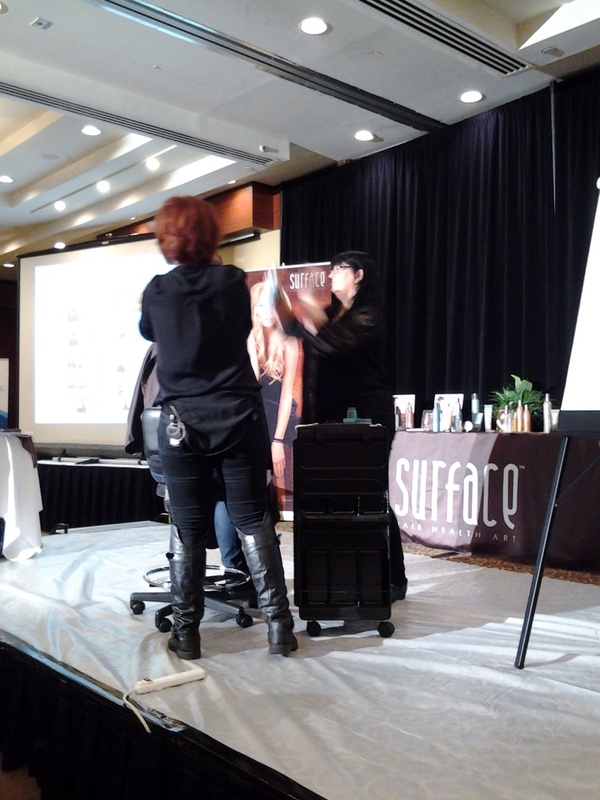 Yesterday I traveled to the San Francisco Bay Area to do a couple of "Store Focus Days" for Surface Hair. It's always so much fun to connect with other hairstylists and share my passion for Surface. I spent the first half of my day in the Concord / Walnut Creek area, and second half in Brentwood. Good times!! 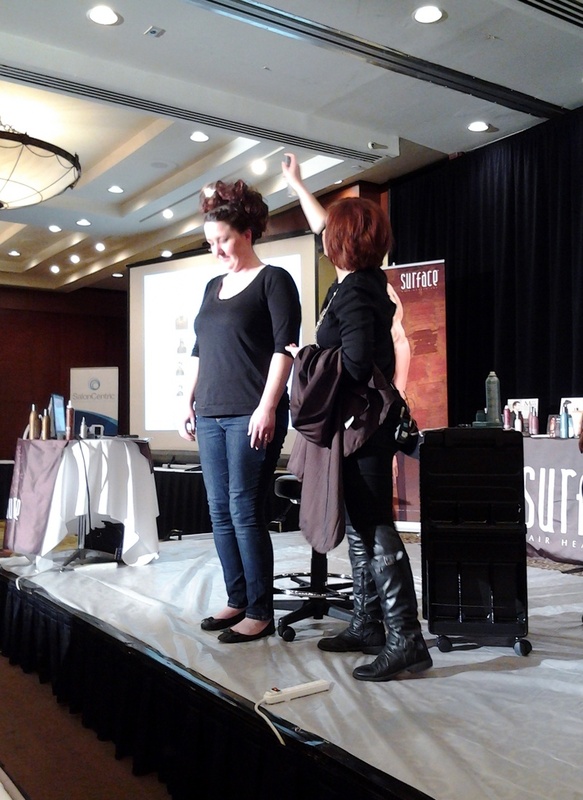 I had so much fun at the Long Beach Hair Show with Surface Hair last month. Three days of hard work and good times! We had a merchandising booth with a small stage next to it where we did hair cutting and upstyling demo's all day. Wayne our CEO was also in the classroom doing haircuts and business building. Wayne then presented his finished models on the main stage. They looked picture perfect, and magazine ready! The first night after the show Surface hosted a VIP event at the "Vault" a 1920's art deco decor bar, located down in a basement. It was great to see so many people I had connected with at our Merch. booth attending the event. We had a great turnout! Looking forward to my next big show in January 2015 again in Long Beach. Thousands of people attend these shows. If you happen to be attending, be sure to stop by the Surface Hair Booth! 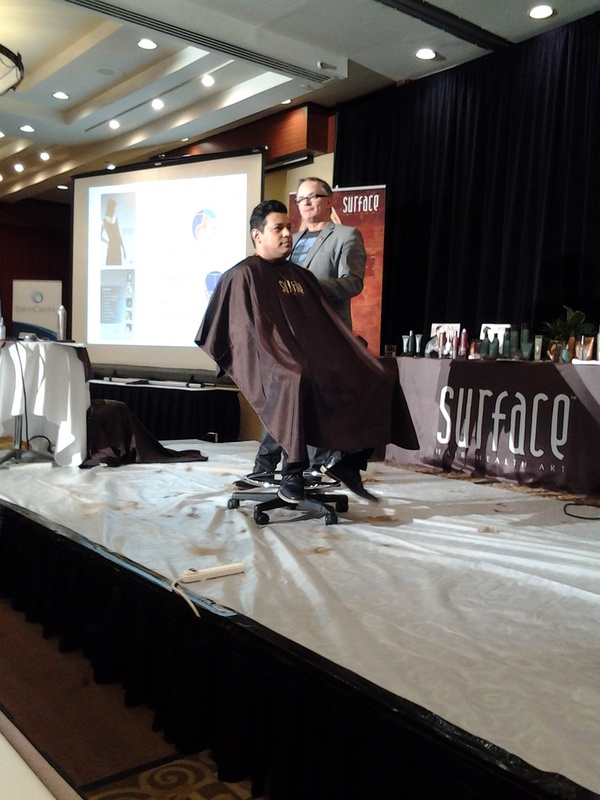 Last month I had the privilege to assist International platform artist and CEO of Surface Hair Wayne Grund at a hair event in Pleasanton, California. Wayne, Lindsey & Jen arrived for the event directly after doing hair at the Oscars. It was fun to have a quaint dinner with the three of them while watching the Oscars on TV. I enjoyed hearing about their wonderful experience. I also enjoyed chatting with Debra Grund (Wayne's wife) as well as my partner in crime, John Ryan. Good times! We had approximatley 125 attendees at the Surface New Beginings class I assisted with. 2014 is all about Retro Hollywood Glam! Wayne demonstrated amazing haircuts and techniques. I assisted with hands on cutting that attendees participated in. I also assisted Lindsey on stage with a Retro Glam Upstyling. Jen and I did a smoothing bath on our model John. Wayne did John's haircut and I completed the finishing style. It was great to see my girls from Cleo's there! I had given them a product knowledge class last year. They were happy to tell me how much I had inspired them and how much they love the Surface Hair products. Made my day! Looking forward to my next adventure with Surface Hair! 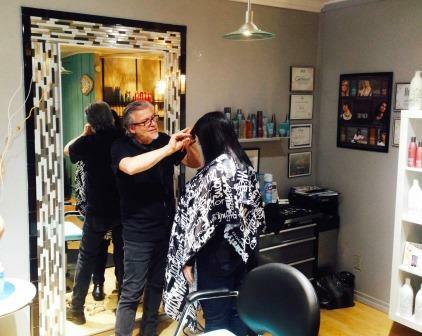 We felt very privileged to have platform artist Ian Gavet give an instructional class on Aloxxi Color at Blue Sun Hair Studio. He also demonstrated cutting techniques and use of the Hot Razor. 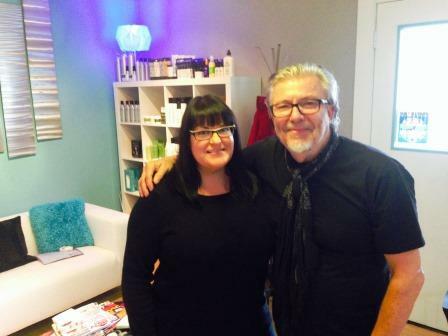 Ian Gavet has an impressive resume starting with Joshua Galvin (of Vidal Sassoon fame), as his Colorist. Thank you to those who attended the Class and Nancy Chalmers of George Riley's PBC for putting it all together. Thank you Ian for my fabulous cut and color! I recently traveled to San Francisco for advanced training with Surface Hair. 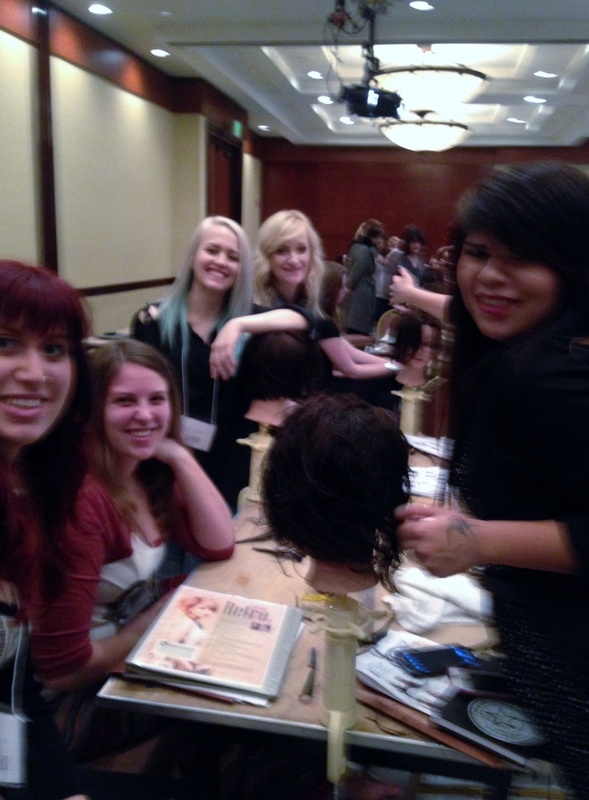 We studied Hollywood Retro Glam Styles and Haircuts taught by Platform Artist and CEO of Surface Hair Wayne Grund. 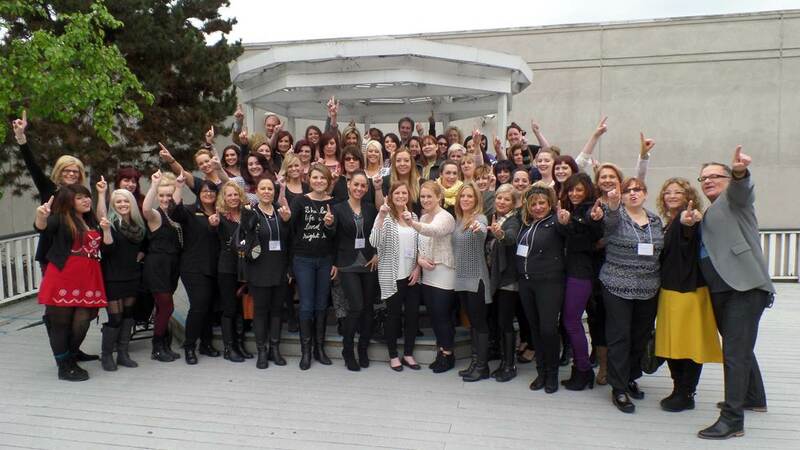 It was so much fun to learn the new 2014 trends and to see all of my Surface Hair family! I Look forward utilizing all of the new techniques Wayne shared with me. If you want to turn heads when you walk in a room, call me for an updated Retro Glam look! Just three months into the new year, and boy have I been busy! January was off and running with the ISSE Show in Long Beach, Ca. 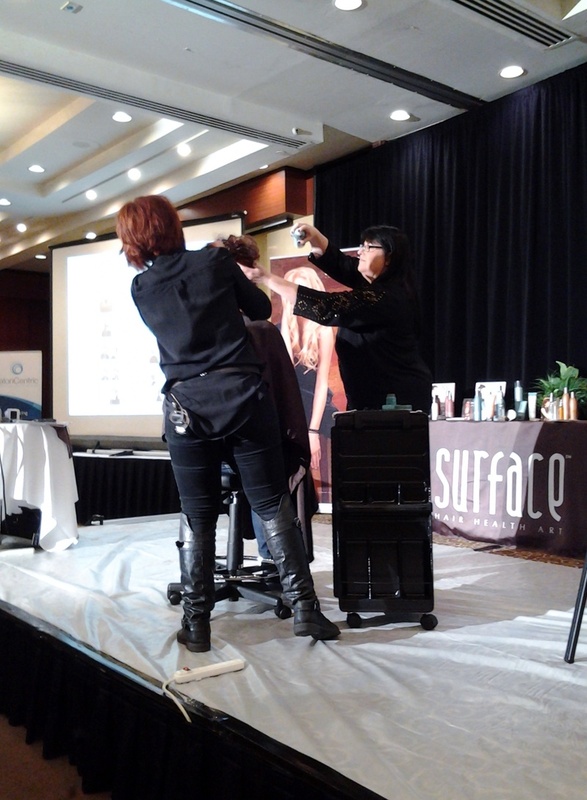 Surface Hair represented with our merchandise booth, side stage, classroom and catwalk! I was told we had 40,000 people in attendance. While I was in Long Beach, I had the privilege of doing hair backstage for my friends on the "Extreme Guitar Tour". The first night was at the House of Blues in Aneheim and the second night was at House of Blues in Hollywood. My vocalist friend John West, rocked the house! 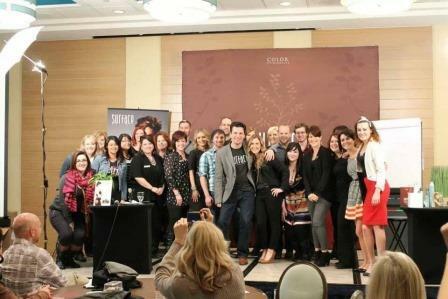 January was followed with Surface Hair events in Monterey, Carmel, Bencia, Stockton, san Jose, Yuba City, and Pleasonton. 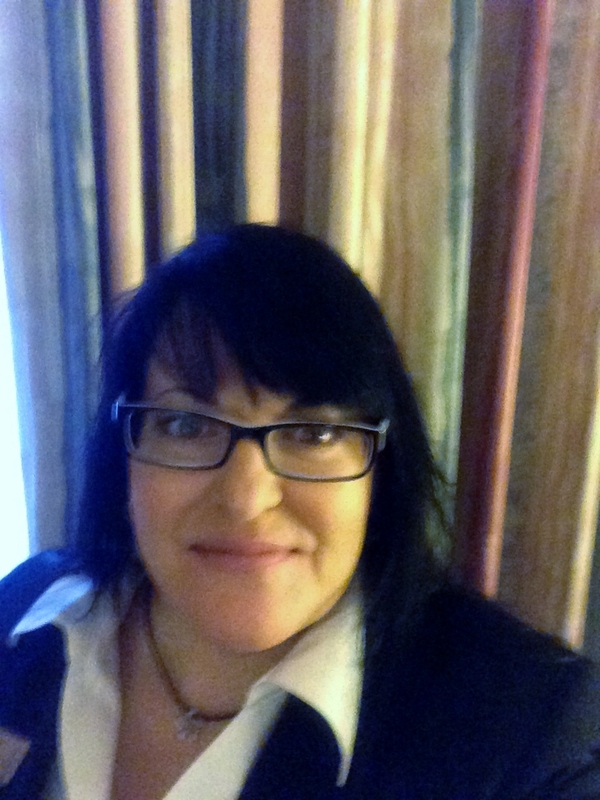 Looking forward to sharing Surface Hair on april 19th in Canyonville, Oregon! I am working at Blue Sun Wednesday through Saturday. My days are usually 10 hours long. Things have been hopping! I have to say, I love it!! The month of March has been awesome. Quite a lot of hair color and hair extension services. I always look forward to seeing you!. 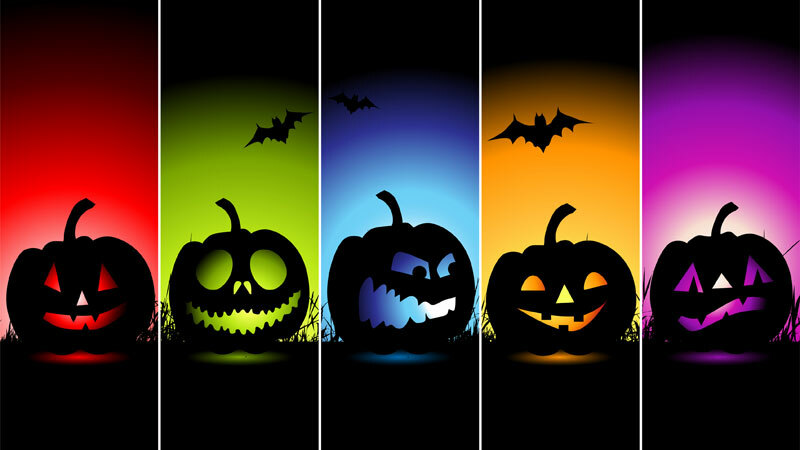 Book a color service for Thursday October 30th or Friday October 31st (Halloween), and receive a full size shampoo and conditioner! No tricks here, only treats!